After the bodywork is done, painting is the last major step in old car restoration. Should you paint your car yourself? On one hand, you can spend $5,000 or more and have someone else paint your car. But if you have mechanical ability and a good eye, consider investing $1,000 or so in paint equipment (that you will probably use again) and paint your car yourself. After the bodywork is done, there are still a few steps required before you can start to paint your car. These include surface preparation, proper sanding techniques, using the correct products, primer, block sanding, more primer and more sanding. If you skip over any of these, the paint will not adhere properly, you'll see defects in the finish, and you've wasted time, money, and energy. The key to any successful paint job is in the preparation. Before you begin painting your car, you need to have a plan. First of all, where will you be doing the work? It may be illegal to paint your car where you live. Before you start, check local environmental regulations. The local fire department or auto-body supply store are good places to ask. An alternative would be finding a spray booth to rent. If neither of these are possible, you can still prepare your car for a body shop. It's a good way to save money. 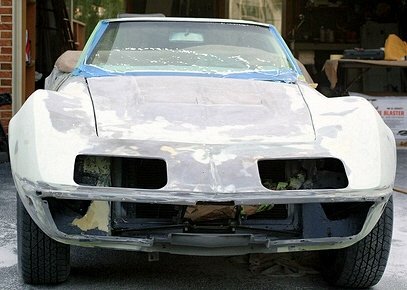 Are you planning to strip the car down to bare metal, or paint over the existing finish? There's several methods of paint removal, but if you're on a tight budget, paint stripping by hand is possible using several sanding techniques and chemical paint strippers. Stripping your car down to bare metal (or fiberglass) ensures there's no hidden damage, but also adds the additional work of reinstalling everything, gapping the panels, replacing seals on door handles, etc. 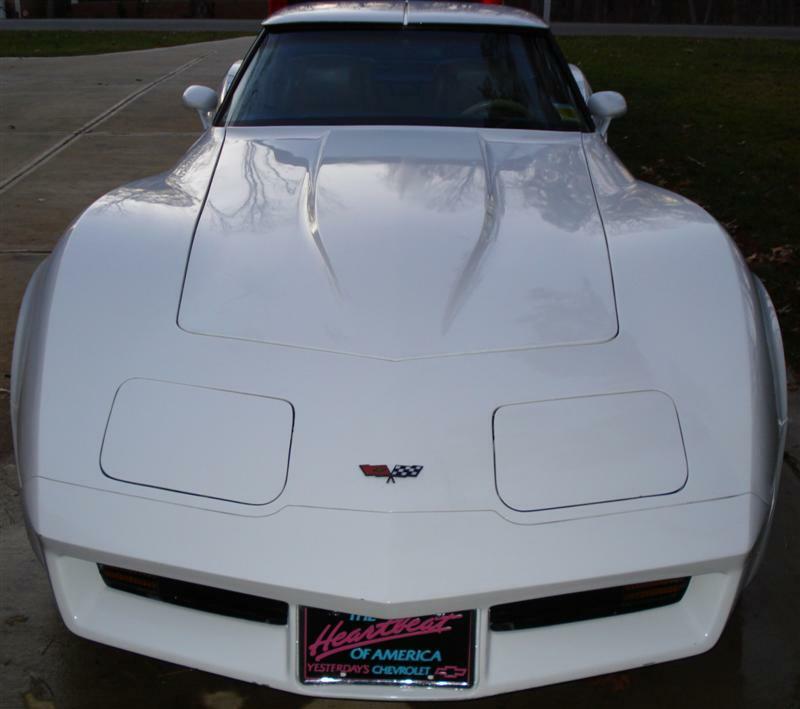 Apply a self-etching primer over any bare metal. Etching primers are lacquer-based and formulated with a very small amount of acid, which "etches" into untreated bare metal. It offers corrosion protection and a strong lasting bond to the metal. This makes it ideal for patch repairs such as floors and fender patches. Self-etching primers are compatible with most primers, including urethanes. They are also compatible with most urethane, acrylics, enamels. They are not compatible with epoxies. After making sure the body panels are clean, mask up areas you don't want paint on. Use masking tape and paper or plastic sheeting. Take your time with this step, it will help avoid unwanted overspray. If you applied any bondo or filler, a good sealer should be used before spraying the primer. Some putties will absorb the primer and reducers. Many two-part urethane primers are high-build and will hold up better than one-part primers or lacquer primers. You may want to spray as many as four or five coats. Allow the primer to air dry for at least one full day before the next step. Block-sanding removes any waves and gets the panels as straight as possible. Start with 240-grit and finally 320-grit. Spray guide coats in contrasting colors between each sanding step. Re-prime any areas that show body filler. Final sand with 400-grit on a dual-action sander. This will remove any marks left by the block-sanding. Before spraying the final coats, clean the sanding residue off with soap and water. Use a high-pressure blow gun to get all panels clean and dry. Clean the car with solvents to remove any contaminates on the panels that may cause paint to properly adhere. This reduces the risk of getting "fish eyes" in the paint. Final step before spraying is to use a high-quality tack rag to remove any dust that has settled. 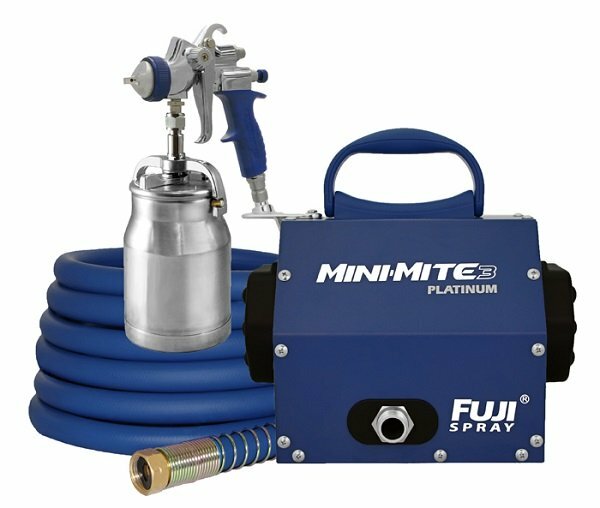 A spray gun, air hose, an air compressor, and moisture separator are the minimum requirements for painting your own car. A paint gun has a much higher duty cycle than an impact wrench or an air ratchet, so the amount of air used is much higher. This means the compressor will be running longer, building more heat, and developing more condensation in the line. Nothing ruins a great spray pattern as much as moisture in the air lines. A good water filter is very important. There should be a filter on the compressor, but there should also be a trap on the gun itself. This allows condensation in the air line to be kept out of the paint gun. There are two common filter types that attach to the paint gun. The less expensive is the ball-style, which works great. The more expensive is a desiccant style, which has the added advantage of allowing the painter to see when it is about to fill with moisture. Both of these attach to the paint gun right where the air hose enters. If you've never painted a car before, an HVLP turbine system is a great choice. You actually have an advantage, because there's no re-learn from a conventional spray system. Water-based automotive paints require specialty guns which have stainless steel and plastic internal parts, making them corrosion resistant. A conventional spray gun used with water-based paint will work, but if not cleaned thoroughly will corrode internally. Depending on the size of your car, you'll probably need a gallon of primer, two or three gallons of topcoat, and two gallons of clear coat. It's a good idea to factor in some practice beforehand, and for corrections needed afterward. Safety hazards when painting your car are very real. Disposable nitrile gloves, a head sock and full body covering are recommended, and a good respirator is essential. Remember to change the respirator filters often. Always wear eye protection. Be realistic with your expectations of your first automotive paint job. You may get runs, sags, dirt, or dry spots. Fortunately, most of those problems can be corrected with color sanding and buffing. How long should painting your car take? 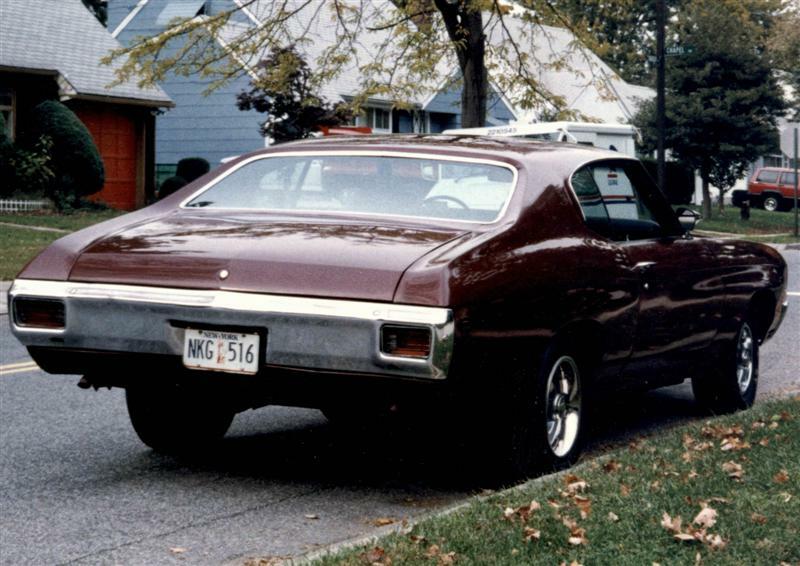 Working part-time, I completed my 1970 Chevelle in about a month from the time the bodywork was done until it was painted and ready to drive out of the garage (I waited another week before starting to wet sand the clear coat). Hold the spray gun about 6-inches from the panel and spray in a side-to-side sweeping motion. Start from the top, right to left, then come back the other way spraying about 50 percent overlap from the last line of paint that you laid down. Several light coats are best, followed by one slightly heavier coat. TIP: Before spraying on the car, do a couple of test sprays on some cardboard after you fill the paint cup. This is a good way to see if the paint is coming out too heavy or too thin, and adjust accordingly. After the car is painted, allow the paint to air dry for at least one full day. Remove the masking tape and paper carefully. Before wet-sanding, any dirt nibs can be removed with a dirt nib file. If this will be your first automotive paint job, be realistic with your expectations. You may get runs, sags, dirt, or dry spots. Fortunately, most of these problems can be corrected with wet-sanding and buffing. Wet-sanding paint is a messy but necessary step to remove any orange peel in the paint. You will need a water pail and a couple different sanding blocks. Harder blocks are best for taking out orange peel quickly. Use a softer block for curved areas. Be careful around the edges not to cut through the clear coat, or you will have to repaint that area. 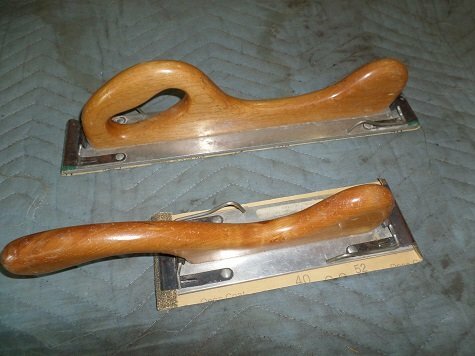 The best way to sand is by hand, but if you're careful you can use a dual action sander. Most people start with 1000-grit sandpaper, but I've used 600 and 800 grit to knock down very heavy runs and orange peel. After the 1,000-grit sandpaper, wash the car and switch to 1,500-grit. You may want to take it a step further and go to 2,000-grit. This will make the buffing part faster and easier. After wet-sanding, buff paint in circular motions with an electric buffer, wool pad, and compound (3M extra-cut). Be careful not to burn through the paint by holding the buffer in one spot for too long. Work with approximately two square-feet at a time until the haziness is gone. This is followed by a rubbing compound, either by hand or machine. Final finishing is done with a swirl-mark remover compound. The chemicals in today's paints are dangerous and can be absorbed through your skin and eyes. The EPA states that the health risks of VOCs include: Eye, nose, and throat irritation; headaches, loss of coordination, nausea, damage to liver, kidney, and central nervous system. When working with these chemicals, you must follow all precautions and make sure you use all of the required safety equipment.